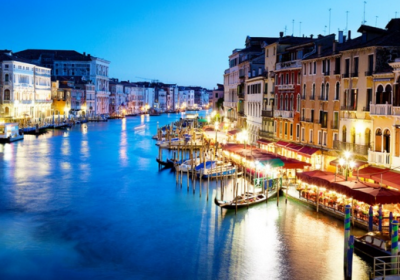 Wowzers guys, this is a cracking price for a Venice City Break… just £89 each with a choice of hotels and return flights! Located in the old town of Mestre, Hotel Centrale boasts classic decor and quick access to the attractions of Venice. Relaxation can be enjoyed in air-conditioned rooms which come complete with satellite TVs and bathrooms with hairdryers. Located just a short walk from Venezia Mestre Railway station, Hotel Aaron invites travellers to enjoy Venice’s waterways and historic attractions. Guests can unwind in the en suite rooms which are decorated in a minimalistic style and equipped with bathrooms and TVs. The capital of the Veneto region and listed as a World Heritage Site, Venice is set on a group of 118 small islands separated by a labyrinth of canals and linked by century-old bridges. Colonnaded squares, domes and arches can be seen while on a sleek motorboat or during a gondola ride that will carry visitors through the city’s main waterways. Tourists shouldn’t miss out on the opportunity to visit the Doge’s Palace, a symbol of the republic’s wealth and mastery over land and sea. On the eastern end of St. Mark’s Square, the world-renowned Byzantine basilica has become a landmark of the city with its four bulbous domes and golden mosaics. Throughout the cobbled streets there are countless workshops where travellers can pick out unique handmade masks painted according to the 800-year-old Venetian tradition.